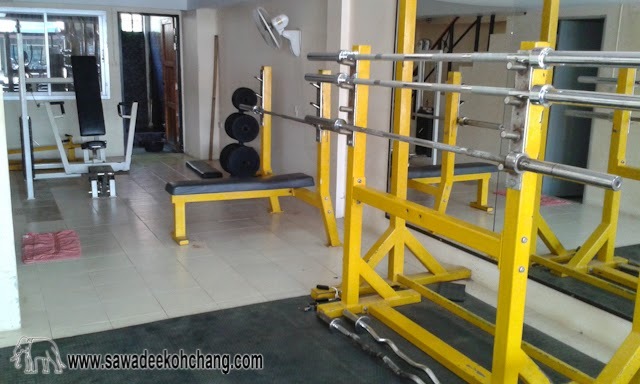 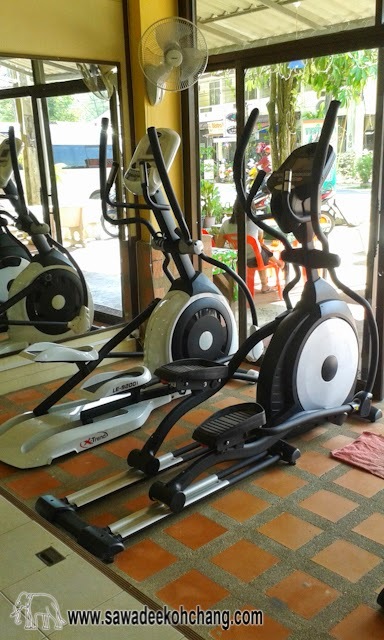 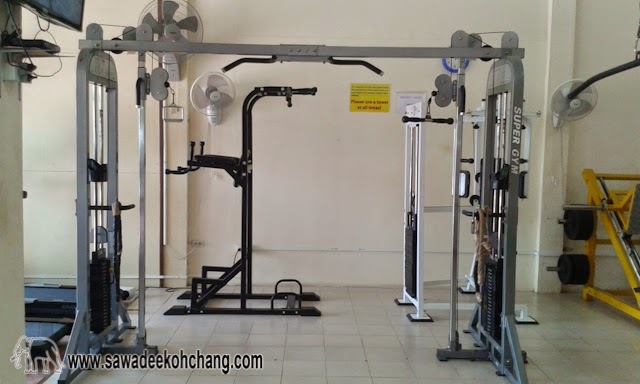 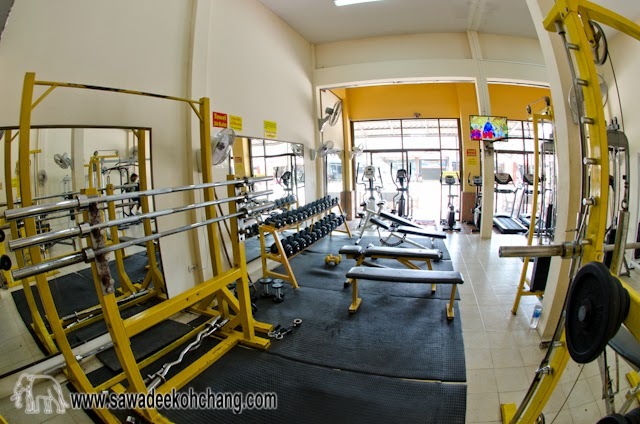 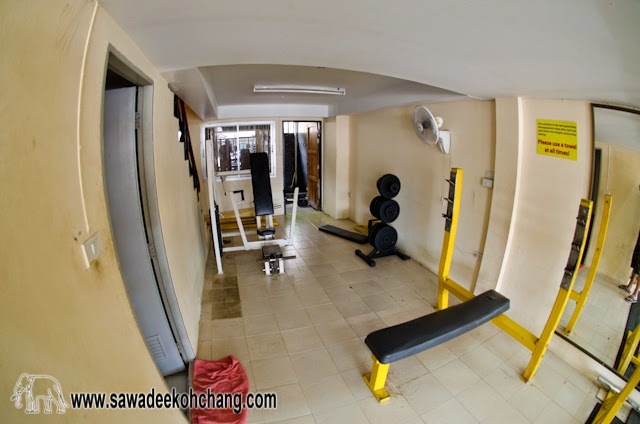 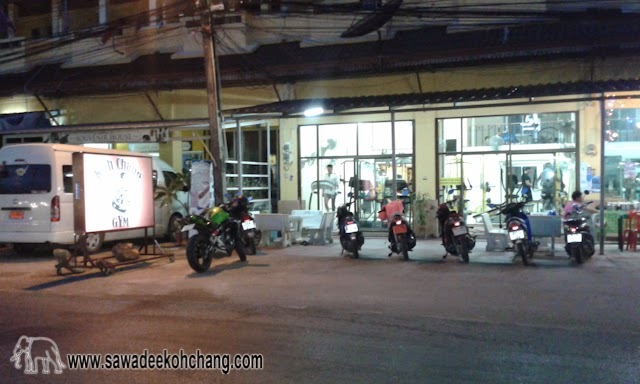 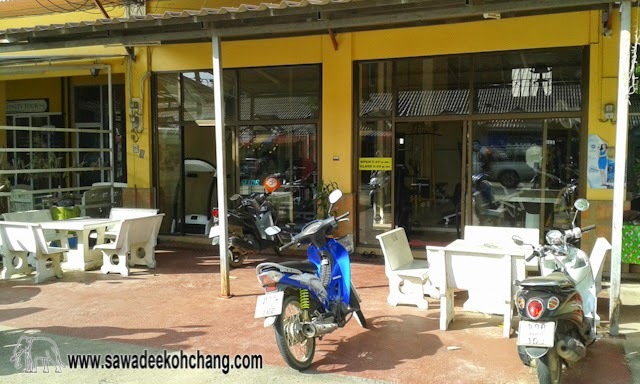 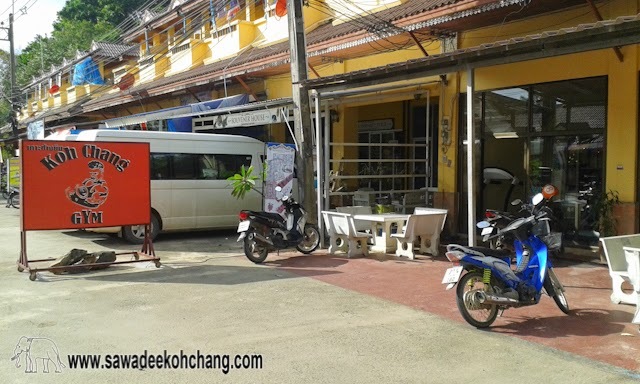 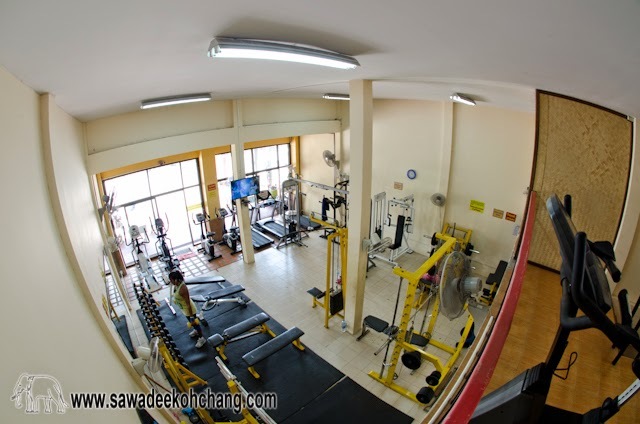 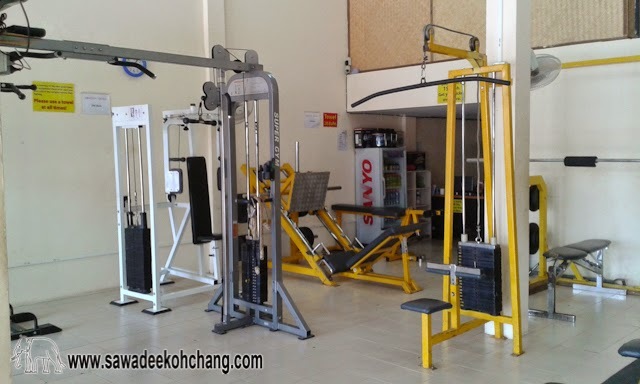 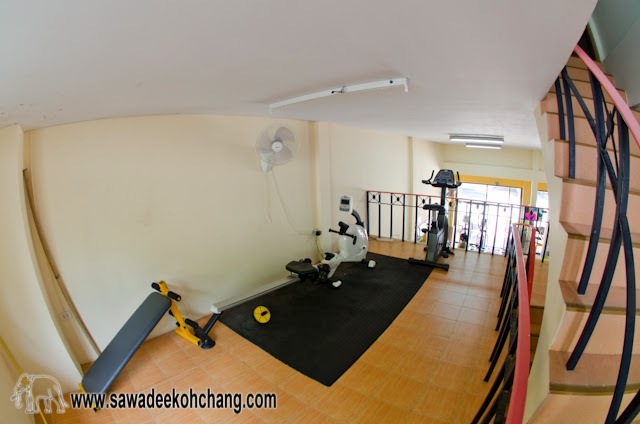 Koh Chang Gym is located on the north part of Klong Prao, on the main road, just on the opposite side of Klong Prao Resort, on your left side if you are coming from White Sand beach. 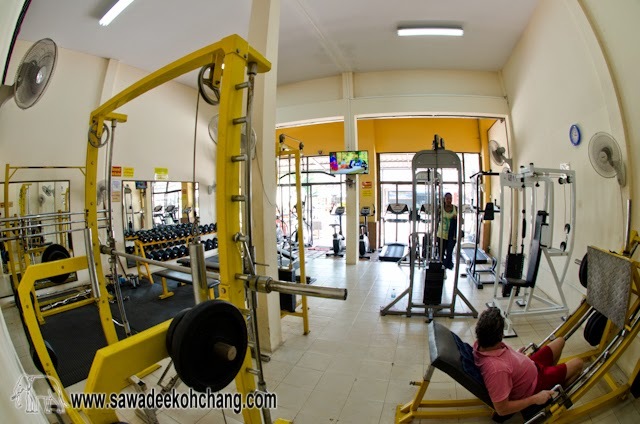 The gym is opened daily during the high season but also in the low season, from 9.00 am to 8.00 pm. 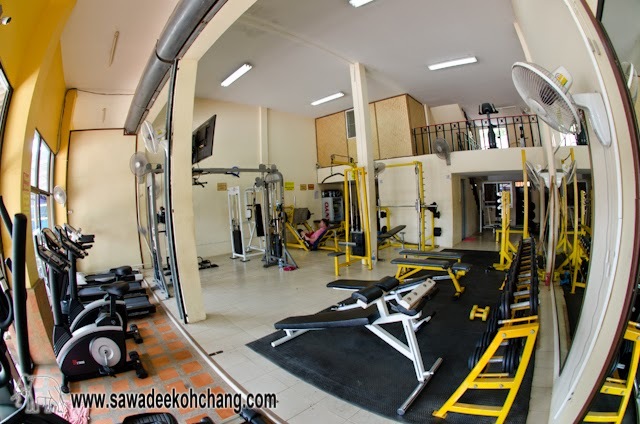 You can buy a membership card for a week, few weeks or few months, or you can pay your daily entry. 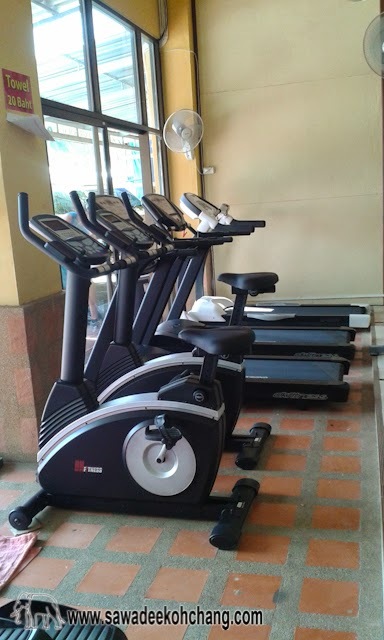 For the fitness addicts, there are cardio equipment, treadmills, fitness bikes and elliptical trainers on the first and second floors. 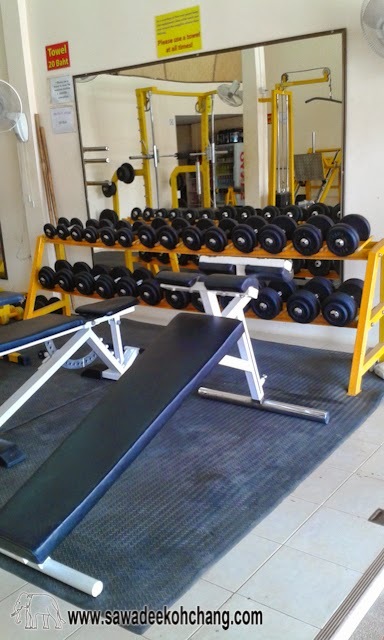 If you want to work-out, there are a cable cross over machine, a leg press, a chest press, free weights, dumbbells, barbells, benches,... and so on. 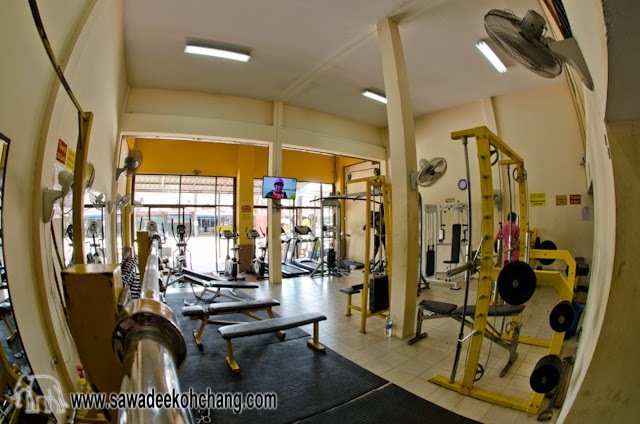 You can bring your own drinks or buy them directly at the gym. 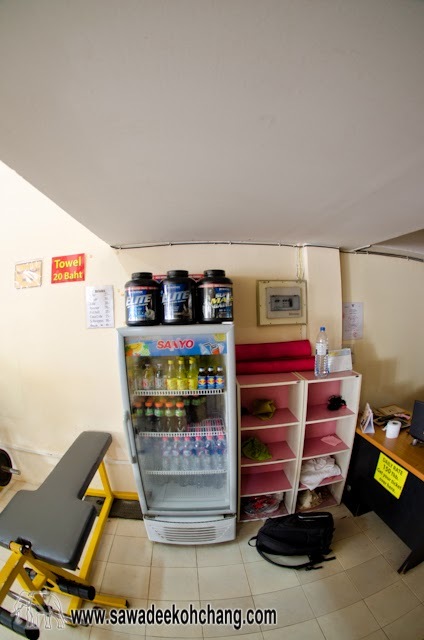 They have different flavours of protein shakes as well as protein powder in can like mass gainers and muscle enhancers but also other refreshments like water, sodas and energy drinks. 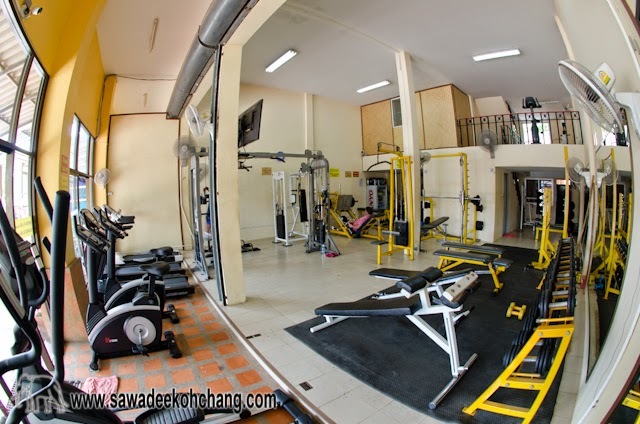 The staff is taking care of this spacious place and keeps it very clean. 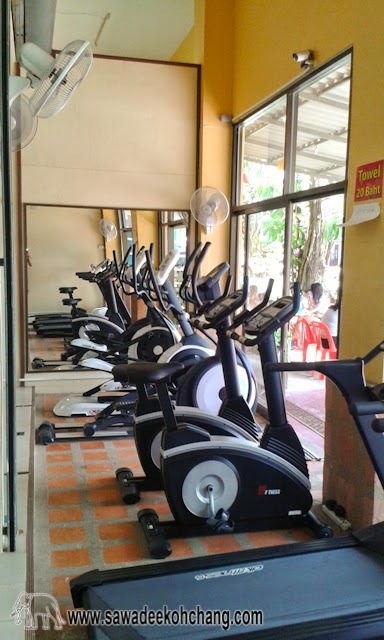 There are lots of fans everywhere to cool you down. 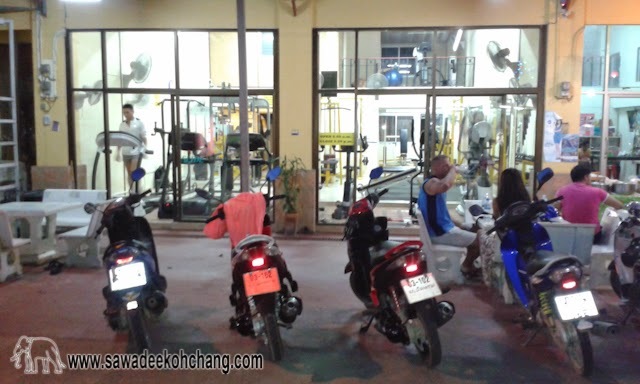 And after the training you can enjoy your shake on their terrace. 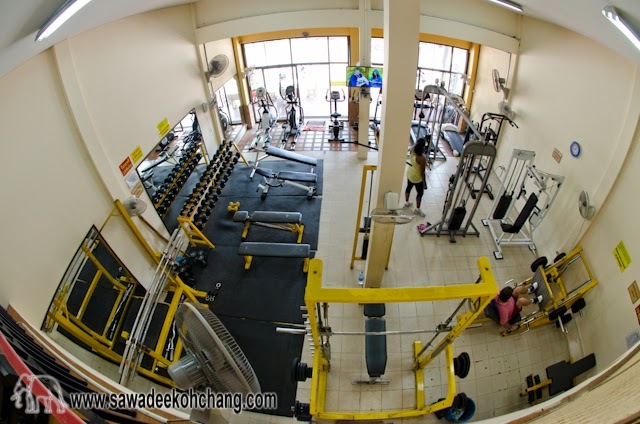 There are only 2 rules in this gym: use a towel on the seats (you can use your own or rent one for 20 THB) and return the weights were they belong. 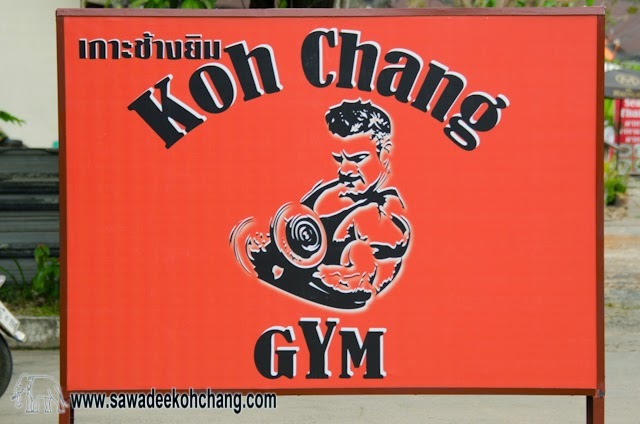 Check out their new website: www.kohchangfitness.com!